Our Mission is to provide quality service in an efficient and professional manner to ensure safety and comfort. At United Engineers, we focus at continually improvement and customer satisfaction. To be an organization that provide all deliverables in accordance with International and local standards, where continuous and measurable improvement in services is the standard and culture of the company. In order to improve our management quality to meet customer demands and satisfaction, United Engineers has decided to implement and maintane Quality Management System ISO - 9001. 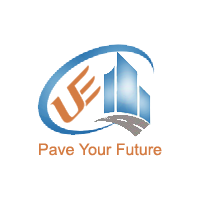 United Engineers is one of the leading Buildings & roads contracting company in the East coast of UAE with impetus on the quality of service, road materials manufacturing and supply. The company is successfully operational for more than 5 years and is well Equipped with the latest technologies, machinery and equipment. United Engineers is a team of highly skilled persons and value-driven senior leadership team that are focused on improving the consistency and quality of our service offerings.